jQuery is the easiest solution for DOM interactions. In this post, I am going to explain jQuery Basics. Next to that, I will show a live demo on code pen to demonstrate form interactions using jQuery Basics. 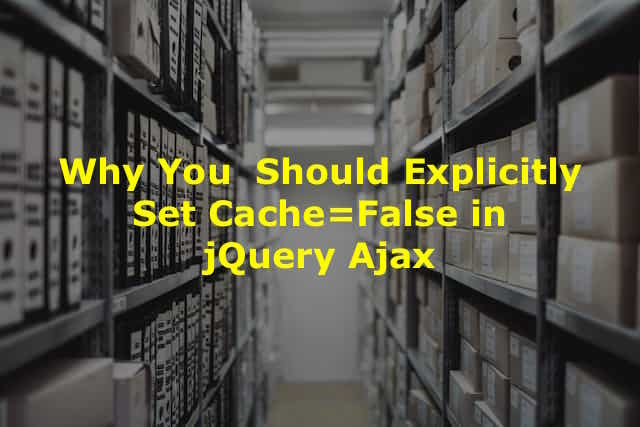 Before we start, lets understand what is the use of jQuery? In simple words, jQuery is an API to select DOM elements from HTML document. You can access/modify attributes on selected DOM elements and bind events to perform operation. 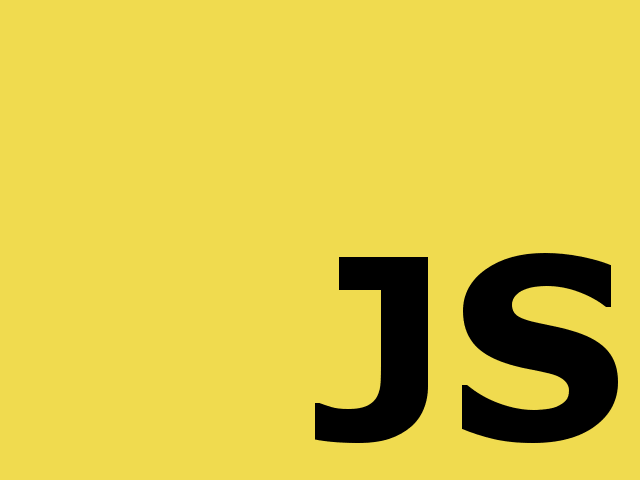 Moreover, jQuery provides ajax API for server interactions without reloading page. jQuery provides methods for animation of DOM elements. In this post, I am going to cover only how to manipulate DOM elements to access/modify its attributes and bind events. jQuery has very simple fundamental. 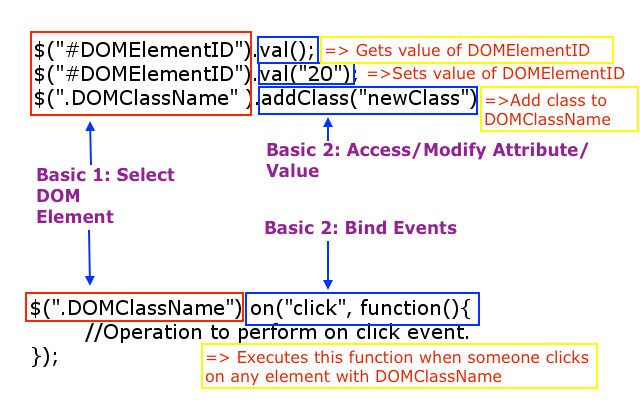 Basic 2: Access/Modify selected DOM element’s attributes or Bind events. How to Select DOM Element? jQuery provides multiple ways to select DOM elements. $("#exampleID") will select DOM element with ID = exampleID. $("#exampleID").val("Smooth Programming") will set value to “Smooth Programming”. $(".exampleClass") will select DOM element with class = exampleClass. $(".exampleClass").val("Smooth Programming") will set value to “Smooth Programming”. $("input") will select all input DOM elements. $("input").val("Smooth Programming") will set value to “Smooth Programming”. $("#genderFemale").prop("checked", true) will mark Female value of radio button. $("#genderFemale").prop("checked", false) will unmark Female value of radio button. is(“:checked”) to know radio button is checked or not? $("#genderMale").is(":checked"); will return true because id#genderMale is checked. $("#genderFemale").is(":checked"); will return false because id#genderFemale is unchecked. is(“:checked”) to know checkbox is checked or not? $("#hobbyBasketball").is(":checked") will return true because id#hobbyBasketball is checked. $("#hobbyCricket").is(":checked") will return false because id#hobbyCricket is unchecked. $("#hobbyBasketball").attr("checked", true) will mark ID#hobbyBasketball. $("#hobbyBasketball").attr("checked", false) will unmark ID#hobbyBasketball. $("#education option:selected").val() will return “4”. $("#education option:selected").text() will return “Master”. $("#education").val("1") will select “Elementary” option. Difference between :checked and option:selected :checked is used for radio buttons and checkboxes. option:selected is used for dropdown. Above code will bind submit event to form with ID = registration. Above code will unbind submit event to form with ID = registration. See the Pen jQuery Basic Form – Smooth Programming by Hiral Patel (@hiralbest) on CodePen. Congratulations !!! You are good to go with DOM manipulations using jQuery. 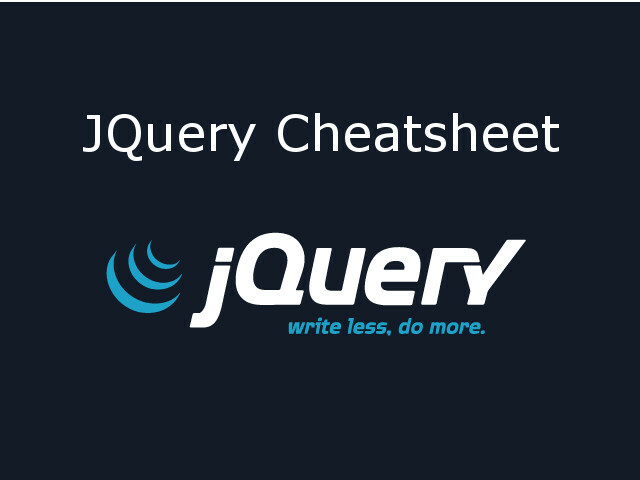 Please check jQuery Cheatsheet for quick reference to all most important jQuery operations.